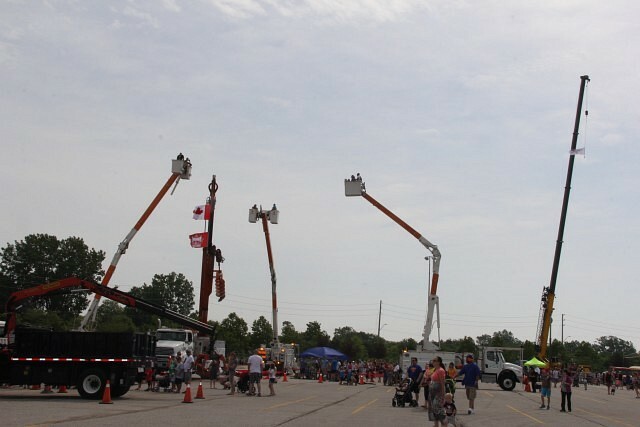 The eighth annual Meet A Machine event rolls into the WFCU Centre parking lot this Saturday. This free family event is designed to promote literacy with children from the Windsor-Essex community in a fun and interactive way. Dozens of vehicles will be on hand including a front-end loader, excavator, backhoe, and heavy duty wreckers, salt truck, street sweeper, garbage truck and aerial truck, race cars, school buses and transit buses, and police cruisers and ATVs, ambulance, fire trucks and fire engines. The drivers who operate the vehicles will be on hand to talk to the children about the machines and answer any questions that they have. They will be offering a “sensory friendly” hour from 9am to 10am.